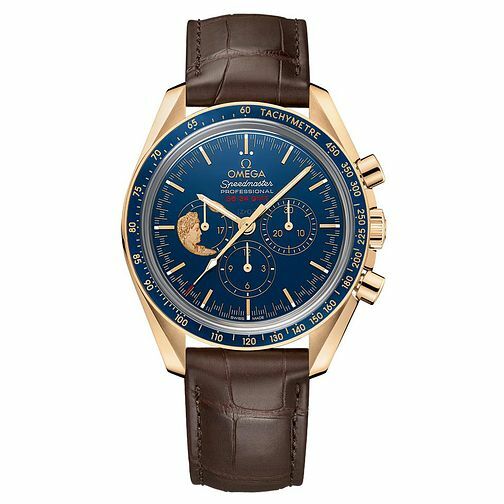 Omega shows us how to clearly combine both style and precision with this classical watch from the Speedmaster collection. The case is made with 18ct yellow gold for a luxurious feel, with the dial exhibits clear indices with alternating alignment that mark out the seconds even clearer. The subdials track additional subdivisions of time and are embellished with a classical greek icon. Secured with a stylish brown leather strap, this is a stunning statement piece for those who demand precision without sacrificing style.